When I was approached by the Ontario Association of Social Workers (OASW) to share how social workers have touched our lives I paused. I paused because I would be writing about my daughter and wanted to ensure I did it with empathy and respect for her privacy. I asked for her permission which she granted because she wants families of children with ADHD to know there is support available and as she put it…“Kids shouldn’t feel stuck in anger alone”. Parenting is a minefield of emotions…one where we can often feel alone or lost in a wasteland of worry. Each age has its challenges and each child is uniquely themselves which is a beautiful thing that can leave us experiencing highs and lows of emotions which are indescribable. We watch our children and I know that many times I have been left weeping with a feeling of being lost as to how to help them. My first-born was a baby whose laughter could draw people from aisles over in the grocery store to us. Her smile lit up a room and her pure joy with laughter could be felt miles away. She was also the baby whose distress could be felt as deeply. As she grew, I couldn’t deny that something with her didn’t seem “right” but nothing I read seemed to pinpoint any issues which would apply. It was in grade 2 that one of her teachers asked for a meeting with me and gently told me that she felt my daughter should be evaluated because she was displaying signs of ADHD in the classroom. I was baffled to be honest, my own view of ADHD just didn’t fit my girl at the time. She wasn’t highly distracted or constantly fidgeting. That is where my knowledge of this ended. Realizing that I needed educated help with this, I booked us into a specialized pediatrician who performed some testing and we got that ball rolling. Meanwhile, the school was very supportive and set up meetings between my daughter and social worker twice a week during school hours. These meetings were times when she could share her emotions in a safe way with someone who took the time to build trust with her. The social worker had a way of getting our girl to open up and could help her see ways to cope with her frustrations which led to my daughter feeling less lost. These meetings with the social worker seemed to empower our girl; to give her a voice to be able to recognize and explain things to us and her teachers a bit better. She has since been diagnosed with ADHD Inattentive disorder, sensory issues and more. Through the years we have been grateful for the social workers who have helped her to recognize signs in her body and her emotions more than we ever could have. We as parents have also relied up on social workers to assist us with navigating through all of this. Knowing that there is an educated professional on hand who can help guide us through this lifts a weight from our shoulders as parents because we know that we are doing the right things for our girl. 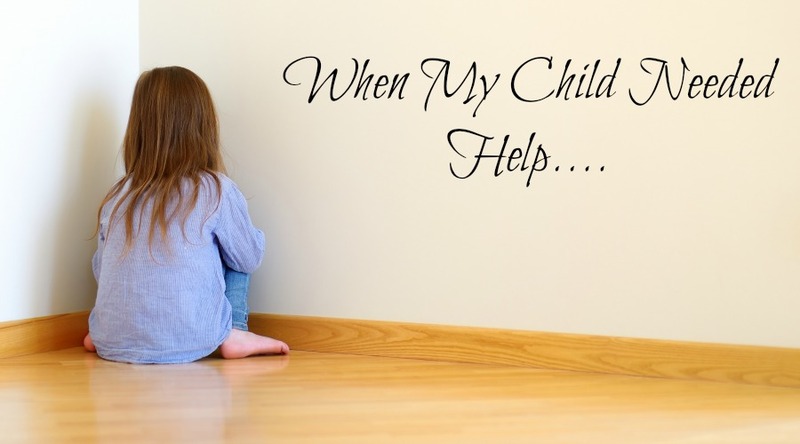 When my child needed help a social worker was there for us and we are forever grateful. If you are facing something in life where you could use some support…please reach out! Life isn’t perfect and nor are we! Social Workers have the skills to help you find resources and support in the tough times. March 6 – 12 is Social Work Week where we are spreading awareness, hoping to reach out to those who are in need and may not be aware that there IS help available. Make sure to Follow the Ontario Association of Social Workers on Facebook or Twitter and look up the hashtags #RealExpertsforRealLife and #TurnIssuesIntoAnswers to stay connected or chat directly with folks who understand. Hard as a parent to see your child frustrated. My cousins have ADHD and I found out when I was really young (a kid) so I didn’t really understand it. What helps right now is the abundance of resources there are for kids with ADHD – like my cousins follow YouTube vloggers who have ADHD, and it’s evident they live happy, normal, and fun lives. Interesting you bring up sensory issues – my other cousin (not the ADHD side) has experienced similar. Honestly I think the Internet is truly a blessing in this case because it has become easier to realize that many of us share similar experiences.